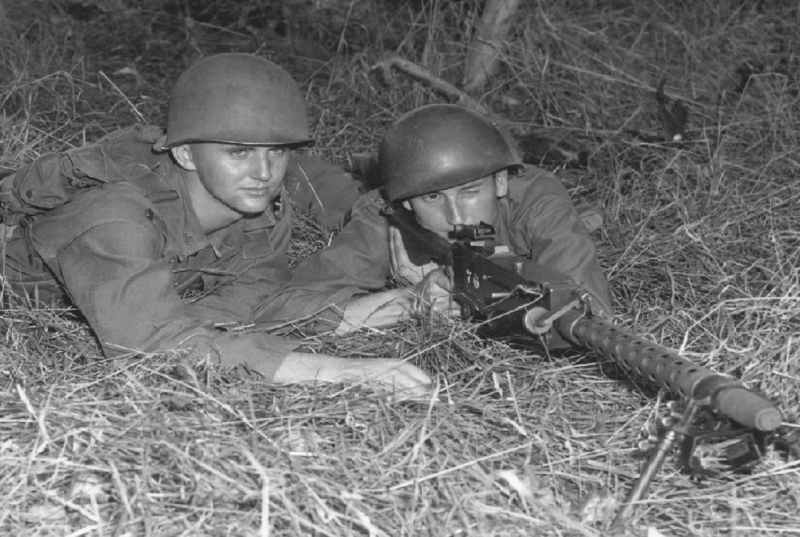 Notes The M1919A6 was developed to bridge the gap between BAR and the M1919A4, as the BAR was found lacking in sustained fire support and the M1919A4 was too heavy. The basic M1919A4 was utilised for the job by adding a stock and using the same bi-pod that was issued with the BAR. The A6 first saw action during the Salerno campaign and they found it to be heavy, cumbersome and with some difficulties with changing the barrel in action. It soldiered on until replaced with the M60.